Thank-you to all our customers for your support throughout the year, we look forward to seeing you again throughout the Christmas season and into 2009. 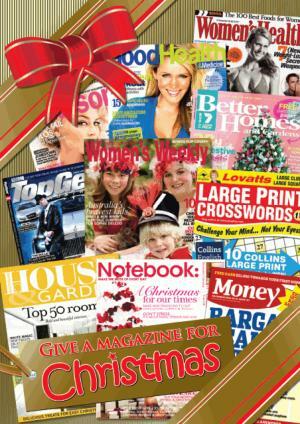 We hope you will find a few gift ideas here to help you tick off your Christmas gift list. From all at Patterson Road Tatts, News and Post, we wish you a wonderful Christmas and a prosperous New Year. Our store is packed with Christmas gift ideas, call in to browse through the complete range. Here are just a few of the great gift ideas, be quick for these special offers as they are only available while stocks last. With our Lotto Gift Packs simply select the combination of games you would like and you have a perfect Christmas gift to the value of your choice. See in store for the full range of Gift Cards that are available for leading retailers, attractions, movie passes and more . . .
Lucky Saturday - 10 shares $15 each. This Time George - 10 shares $20 each. Four Leaf Clover - 12 shares $25 each. My Lucky New Year - 10 shares $35 each. New Year Start - 10 shares $50 each. Megadraw Special - 8 shares $150 each. Visit our Megadraw page for more information about these Megadraw syndicates.